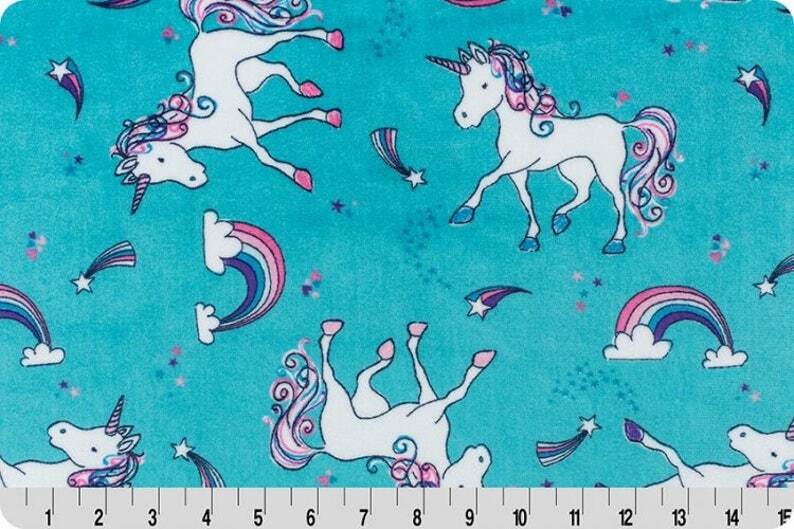 This listing is for MINKY - Rainbow Magic Unicorn Cuddle from Shannon Fabrics . This is the Highest Quality of Minky - never to be confused with the knock-offs sold at the big-box-stores. I've run out of little girl blankets and this pattern is perfect. Fair price, fast shipping. Thank you! Love this fabric! This is my favorite fabric shop to order from especially when it comes to minky. They ensure my packages arrive so clean from shedding fabric and tidy.